Tesco plc is a global grocery and general merchandise retailer based in England. As of February 2011, it is the third largest retailer in the world measured by revenues (after Wal-Mart and Carrefour) and the second largest measured by profits (after Wal-Mart). It has stores in 14 countries throughout Asia, Europe and North America and is the grocery market leader in the UK (with a market share of more than 30%), Malaysia, the Republic of Ireland and Thailand. 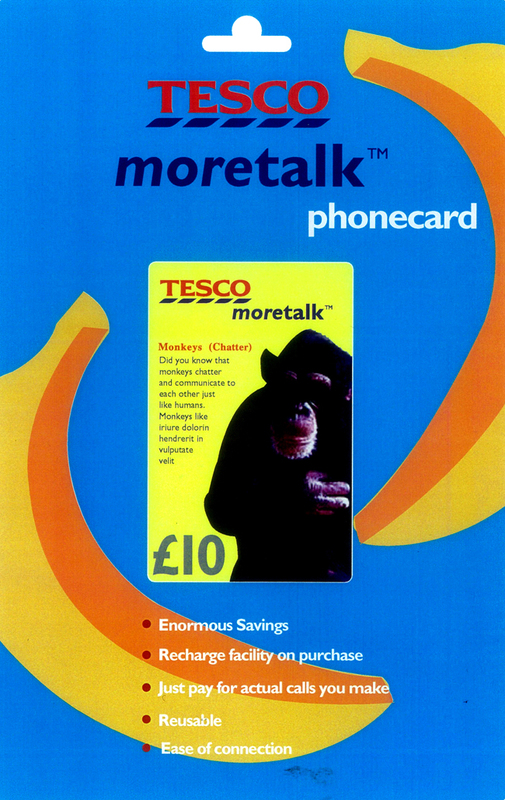 In this project, Tesco wished to enable their customers to have affordable calls on the go. 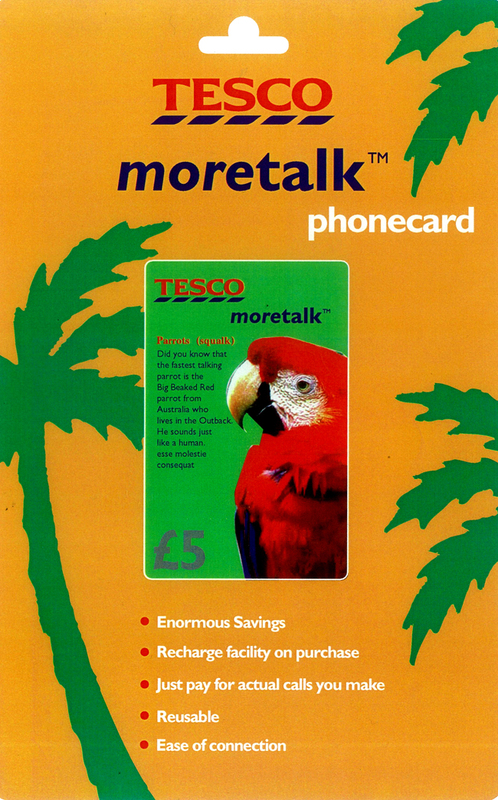 Tesco introduced its own range of phone cards. The examples shown are based on the concept of the chatter of monkeys and parrots. The use of bold colours gave the layout greater impact and a sense of fun in order to appeal to a wide range of customers.